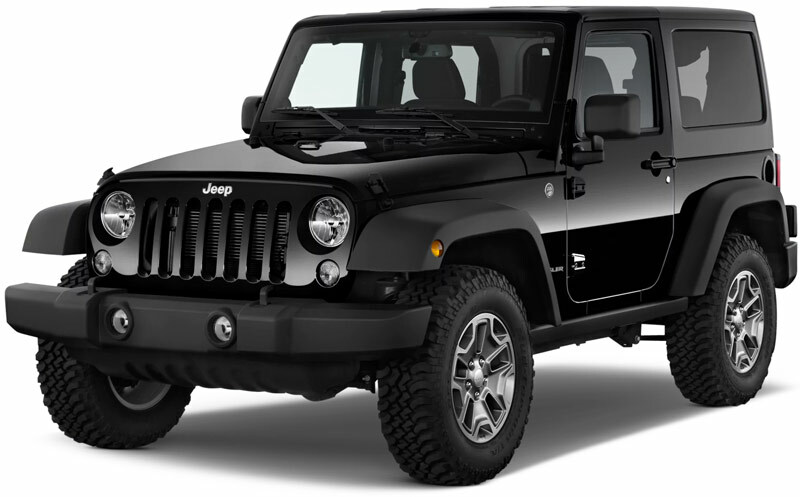 This is the rugged 4-wheel drive Jeep Wrangler. A 2-door with room for 2 adults and 2 children. The interior is well designed and functional. The average mileage for this Jeep is 18-20 MPG. Five speed automatic transmission, tilt wheel, cruise control, central locking system, power steering, windows and brakes, 2 doors, A/C, AM/FM stereo and CD player. 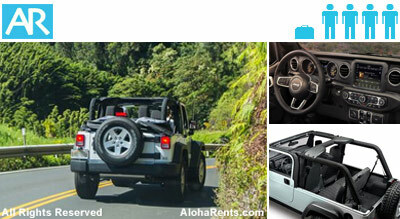 Island Jeeps (2-door and 4-door Wranglers) are in high demand, especially in the Winter and Summer months. We recommend booking early to avoid hassles. Removable tops used to be the standard. The majority of new Jeeps have open-air hard tops. Remember, all Jeeps include unlimited mileage.